Leading global advisory and investment firm, Economic Consultants Limited has appointed Mr. Subramoniam Vijay Kumar as a senior partner in charge of Sub – Saharan Africa, Dubai, Australia, New Zealand and Indonesia. 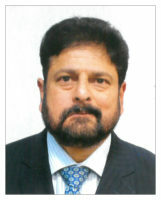 With full responsibility for the leadership and development of the global operator’s key objective of funding companies and projects in the said countries, with a special focus on Africa, Mr Kumar will play a key role in meeting ECs growth goals of progressing from an advisory firm to a fully-fledged merchant bank with activities in investment management, trading, equity participation and own investments. Mr Kumar will also be instrumental in building on the firm’s outstanding reputation to professionals and clients. With over 30 years of experience in the financial services sector, Kumar possesses a strong skill-set and an excellent reputation for knowledge of the finance industry, relationship building, high performance and team leadership. 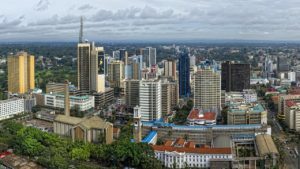 Mr Kumar, who was slated to become the Chief Executive Officer, Ooram Capital Ltd, a private limited company involved in raising funds for various projects in East Africa, joined at a key point in EC’s growth, with record clients and increased investment profile. He brings a wealth of experience from the financial sector, having led teams in finance, accountancy and audit at Nakumatt Holdings Limited where he served as Finance Director until February last year and Botswana retail chain Choppies Enterprises Limited, where he served as Executive Director in charge of the East African region until November 2017. Commenting on the appointment, EC’s Founder and CEO, Mr. Lars Johan Myrtroen said: “I am delighted that Vijay Kumar will be joining us as Partner. Mr Kumar’s incredibly strong knowledge and experience in the areas he has been assigned will be vital as we continue our ambitious plans to grow and develop investment solutions for our clients. We will support him and those working with him to reflect our ambition”. Mr. Kumar is a Chartered Accountant and a CFA by profession and is a Fellow of several International accounting bodies. He had done his MBA – Finance and graduation in Mathematics from two different prestigious Universities in India (U.o.K) and the U.S (U.o.D). With full responsibility for the leadership and development of ECs business in Sub Saharan Africa, Dubai, Australia, New Zealand and Indonesia, Kumar will play a key role in meeting the company’s aggressive growth goals as well as building on the firm’s outstanding reputation for service and delivery to clients at cheap interest rates and longer tenures.